An Australian nurse who managed a surrogacy clinic in Cambodia that matched foreign couples with local women was sentenced to 18 months in prison Thursday, as authorities in the impoverished kingdom tackle the “rent-a-womb” businesses. Long time residents of Phnom Penh’s once-notorious Svay Pak neighborhood say an NGO facing imminent closure on orders from Prime Minister Hun Sen was a boon to their small community and they had mixed feelings about its pending demise. Prey Veng provincial authorities intercepted sand being stored in two facilities that was allegedly destined for Vietnam, but the smugglers were let off the hook with a warning. PTT (Cambodia) Ltd, a subsidiary of Thailand’s state-owned energy firm PTT Pcl, plans to expand its presence in Cambodia, opening new service stations, convenience stores and food and beverage outlets, a company executive said yesterday. 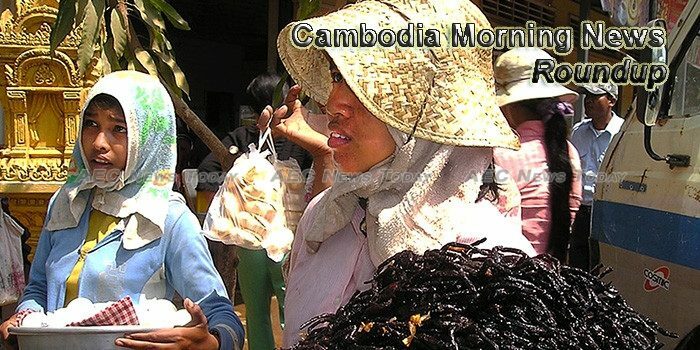 In a desperate move to replenish the dried up food silos and boost rice supply in domestic market, the government has struck a deal with Cambodia to import 2.5 lakh tonnes of the staple in three months. A local property developer inked an agreement yesterday with a Chinese construction firm to form a joint venture company that aims to funnel Chinese investment into infrastructure projects and secure coveted government-backed contracts for building roads, bridges, seaports and airports. The Tourism Ministry will introduce a website and contest—currently dubbed Mr. Clean City—later this month to better coordinate volunteer cleanup projects, but organizers worry the waste they collect won’t reach a proper disposal site. A mixed-use precinct comprised of a performing arts theatre, shopping mall and water park in Siem Reap is set to open its doors later this month. Khmer National United Party president and former RCAF commander Nhek Bun Chhay was arrested this afternoon in Phnom Penh in relation to a drug production case dating back to 2012 in Kampong Speu province, a Ministry of Interior spokesman confirmed.